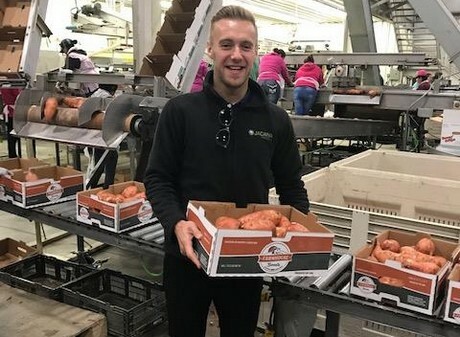 At the end of October, Jacana Produce were waiting for their first arrival of US sweet potatoes. Expectations were for a good quality product to land in a very strong market and this seems to have been the case. “The first containers arrived mid-November and we were hoping to be getting around 5 a week by now. However, supply is limited so we have 3-4 a week and will build up to 5 containers a week soon,” explained Daniel Badger from Jacana Produce. Demand naturally goes up as it gets colder and Christmas boosts this further.